Hunan Province, China - (August 23, 2018) Solvay S.A., through its wholly-owned subsidiary, Cytec Technology Corp., (collectively, “Solvay”) has sued Hunan Norandar Environmental Protection Technology Co., Ltd. for patent infringement in Changsha Intermediate People’s Court, Hunan Province, China on March 28, 2018. Solvay holds numerous patents issued in China related to scale inhibitors. The patents are valid at least through 2027. Scale inhibitors are generally used in applications involving evaporators, heat exchangers and flash tanks, double stream digester heat exchangers, heat interchange department heaters and flash tanks used for liquor cooling, inter-stage pipes, and filters and associated pipelines. Solvay is also the manufacturer and/or licensor of scale inhibitor products such as its trademarked MAX HT brand. 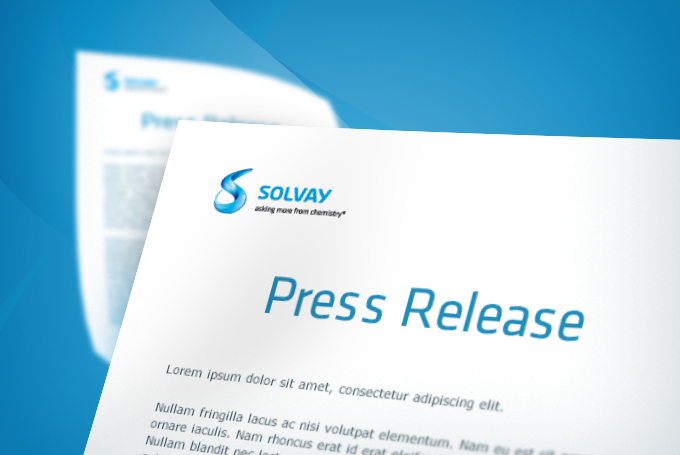 Solvay enforces its intellectual property rights against suspected unauthorized use. In that regard, Solvay has sued Norandar for allegedly infringing at least one of Solvay’s patents related to scale inhibition. Specifically, Solvay believes that Norandar’s D-3136 product infringes several claims under Solvay’s granted CN101522571B patent.